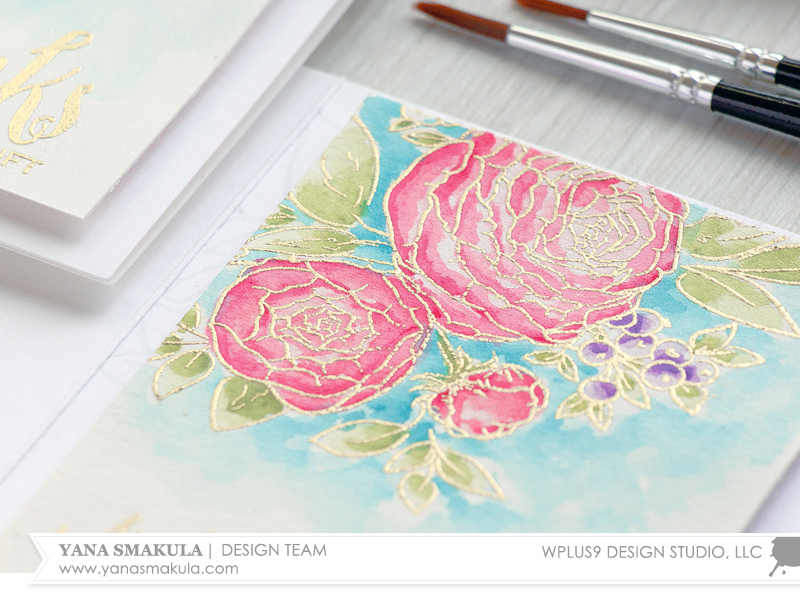 With Spring being just around the corner I find myself often reaching for floral stamps and watercolors. 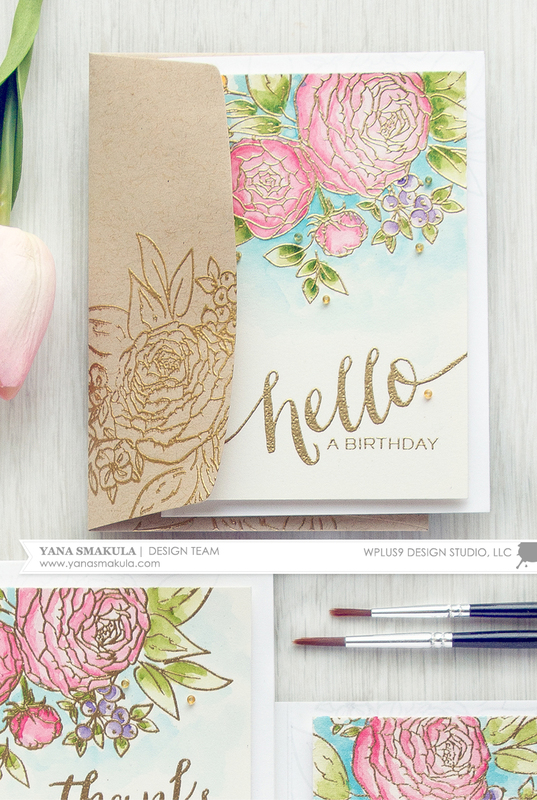 Today I'd like to invite you to join me and create several quick watercolor cards for any occasion. 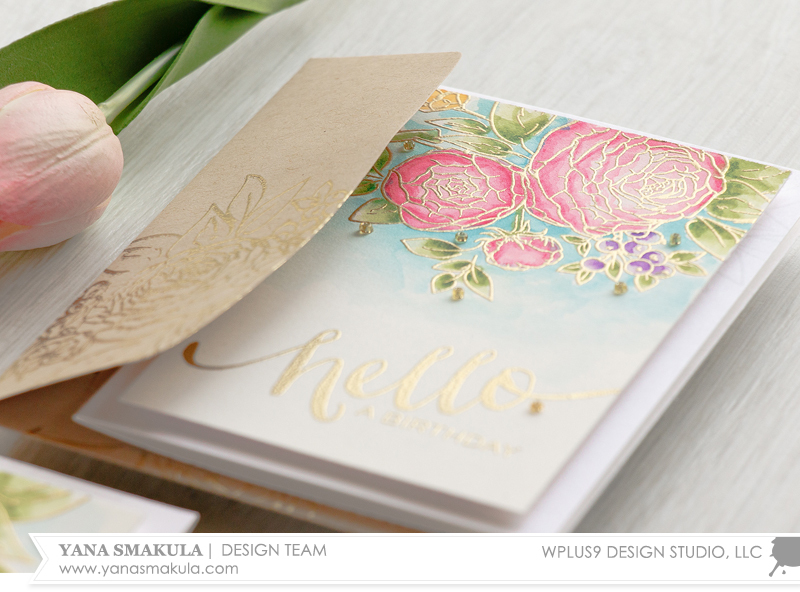 I am using the Beautiful Bouquet: Ranunculus stamp set for my floral image today. This is a beautiful floral cluster that works great for many different occasions. I mentioned I will be watercoloring my cards, so I am using Arches Hot Press watercolor paper - it is smooth and is perfect for stamping when you plan to watercolor. For my watercolor paints I am using Daniel Smith Extra Fine Watercolors - Sampler Color Chart. 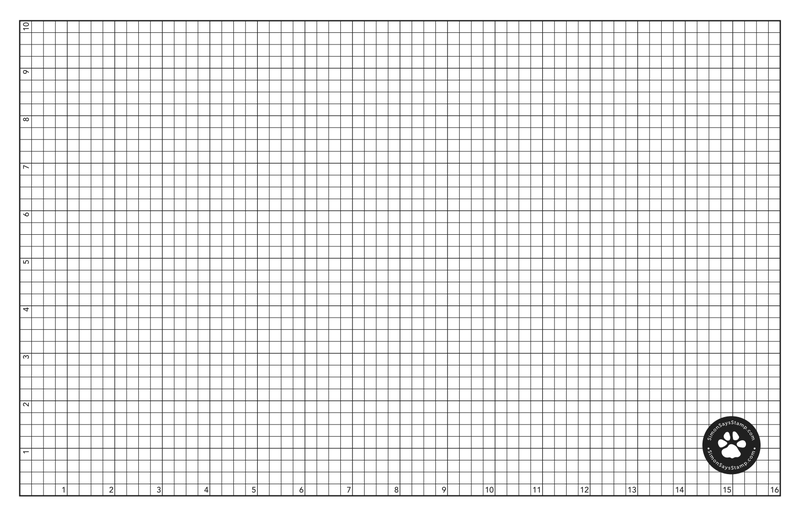 The one I have features 238 colors, each color is added as a little dot onto the paper. There's not a ton of paint in each dot, but there's definitely enough to try the color out and see whether you like it or not. And there's also enough to do simple, little coloring. I've had this chart for about a year now, I can't say I use it very often, but I do reach for it almost every time I want to watercolor something as I just happen to love the quality of these watercolors. What's great about this chart is you can test out the colors, pick those that you like and later buy them in tubes so that they will last you much longer. But please don't feel like you have to use these watercolors, there are many great watercolor products out there, a lot of inks can also be used as watercolors, so use what you have on hand. If you've never done watercoloring before I have one advice for you - don't be afraid to try. And don't try to make it perfect. To me watercolor is all about having little imperfections, all about having a few missed spots or colors bleeding one into another. It's a way of relaxing and enjoying the process, so don't stress, simply color. I used only 4 colors - Quinacridone Rose, Imperial Purple, Sap Green and Phthalo Turquoise. The last one, turquoise, was used to add a bit of color to the background. 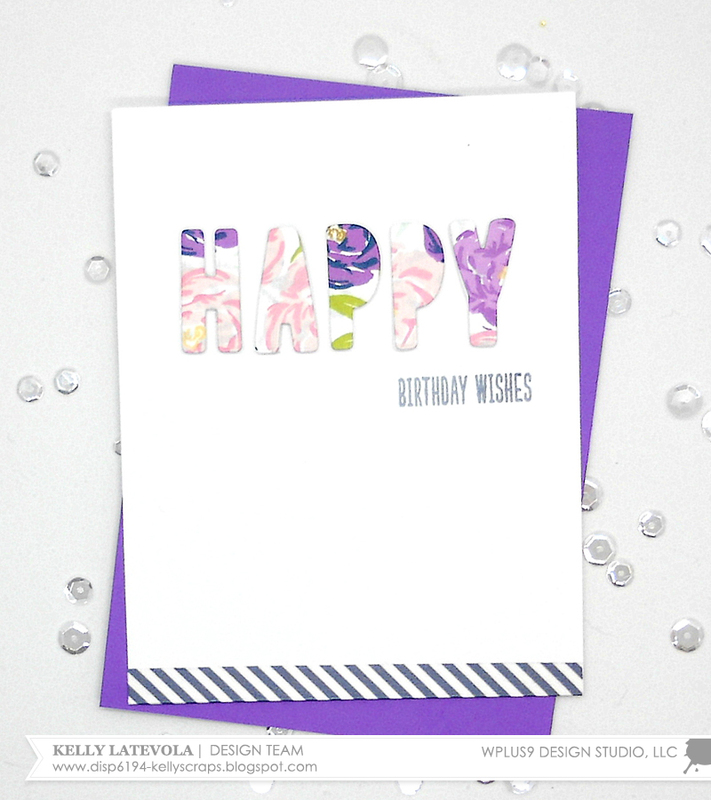 You can also try using peach and light gray to watercolor the background of your project. After my coloring was done I added sentiments. I mentioned the ranunculus floral cluster works for many different occasion cards, so I stamped several - all with different messages. 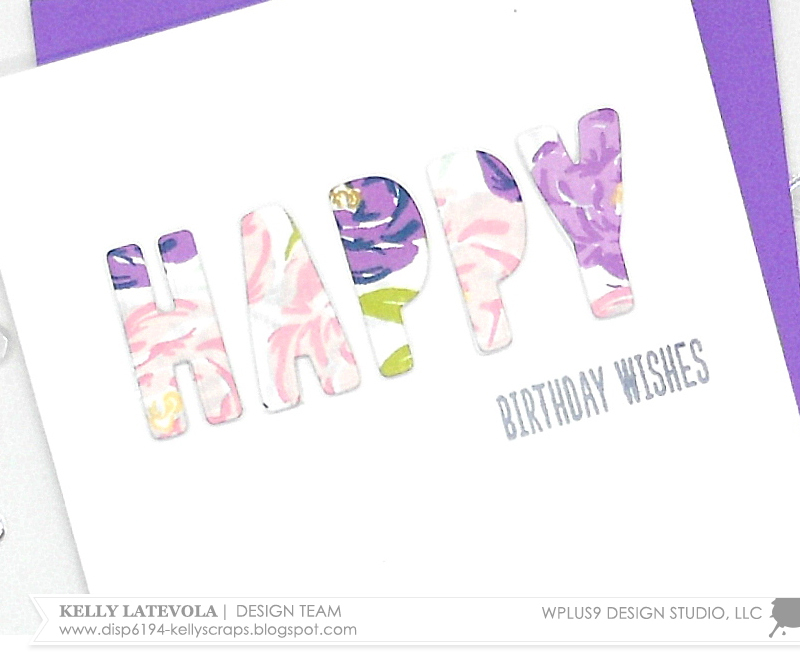 I used A Birthday Hello from the Hand Lettered Hello set, Thanks for the Gift from the Hand Lettered Thanks and Happy Mother's Day from the Strictly Sentiments 4. 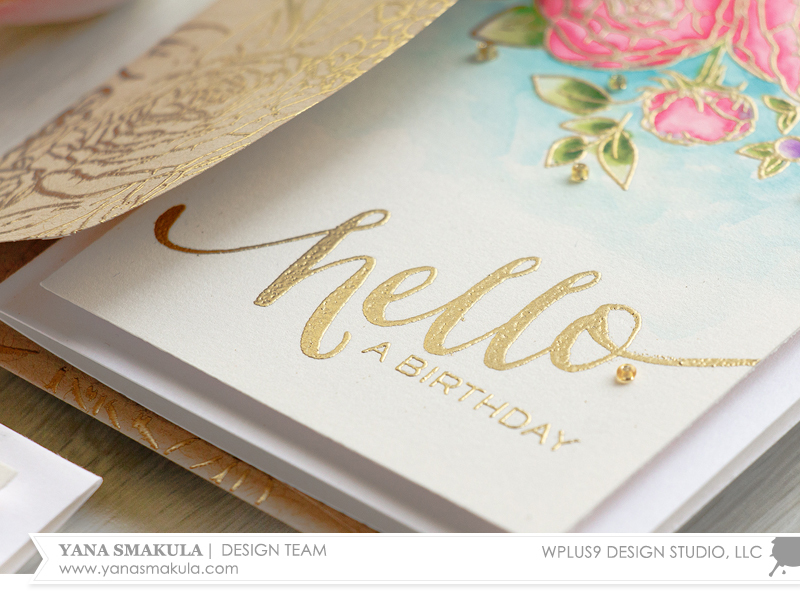 I also did some subtle stamping on my card bases - I continued the floral design onto the card base using Fairy Dust ink. It's hard to see in photographs as the ink color is so light, but it adds a nice touch. Today I'm sticking to the clean and simple. 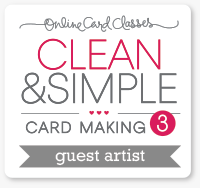 It's been a minute since I really stopped and visited my old friend - the clean and simple card. It's nice to know that even after years of hanging out, I still love her just as much as when we first met. I have to be honest, this wasn't the original direction of my card, but man am I glad it took this turn. I think I love this more than my original idea. Nope, I KNOW I do. You can see my journey in the video below. As you can see from the video, I really shouldn't approach floral arrangements without a clear and concise plan in play. I can't be mad at it though because those letters make me ridiculously happy. Look how soft and pretty.